Anyone know what the double lead wire is? 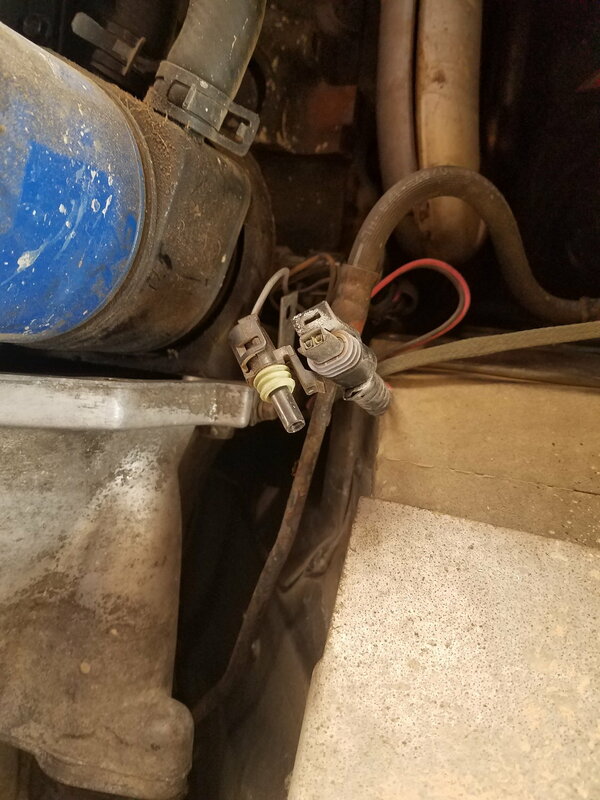 The single lead is the 02 sensor if I am not mistaken but not sure what the double lead wire is. Any ideas? Year??? 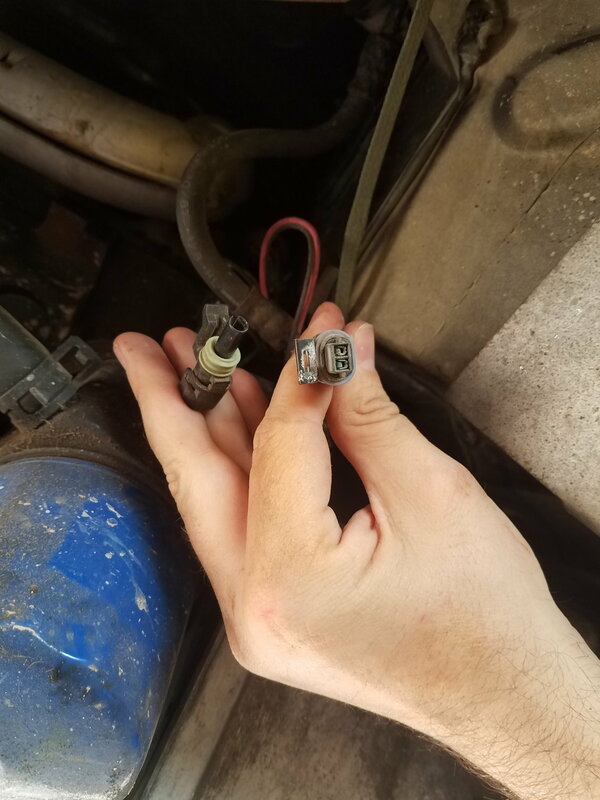 The single wire does look like the O2 sensor connector. Without a year to check the FSM it's hard to know what the other is. its a 1990, been going over the wiring diagrams in the PDF FSM I have but haven't been able to find anything. Might have to break down and spend the cash for an official version. Someone said it may be some kind of maintenance plug but no way to check that I know of at the moment. It also looks like it might fit the oil pressure light(single wire) and the oil pressure sending unit(two wire). Going to look at these when I get out the car. Last edited by Tempest302; 04-16-2019 at 03:33 PM. its a 1990, been going over the wiring diagrams in the PDF FSM I have but haven't been able to find anything. Might have to break down and spend the cash for an official version. Someone said it may be some kind of maintenance plug but now way to check that I know of at the moment. It also looks like it might fight the oil pressure light(single wire) and the oil pressure sending unit(two wire). Going to look at these when I get out the car. If the .pdf is of the GM/HELM FSM it's of little advantage to assume that paper will be an improvement. Many keep a .pdf to use as an 'index' for the paper. If you're looking for help with connectors etc 'ALWAYS' along with the snapshot mention wire colors. What .pdf do you have of the FSM? 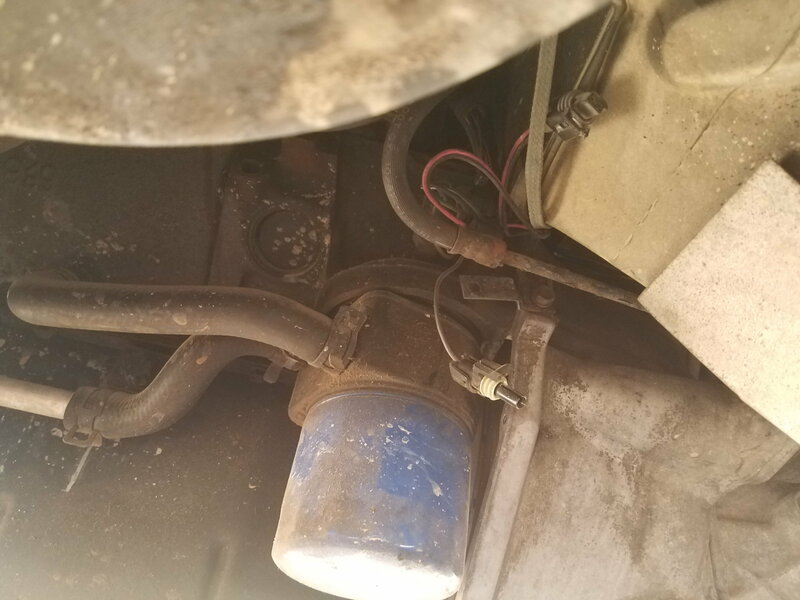 I see the seller found the drive-shaft! That's a plus. What are the wire colors of this connector? Last edited by WVZR-1; 04-16-2019 at 02:54 PM. The single lead is a dirty brown or a faded purple, the other is red and black. Last edited by Tempest302; 04-16-2019 at 03:42 PM.